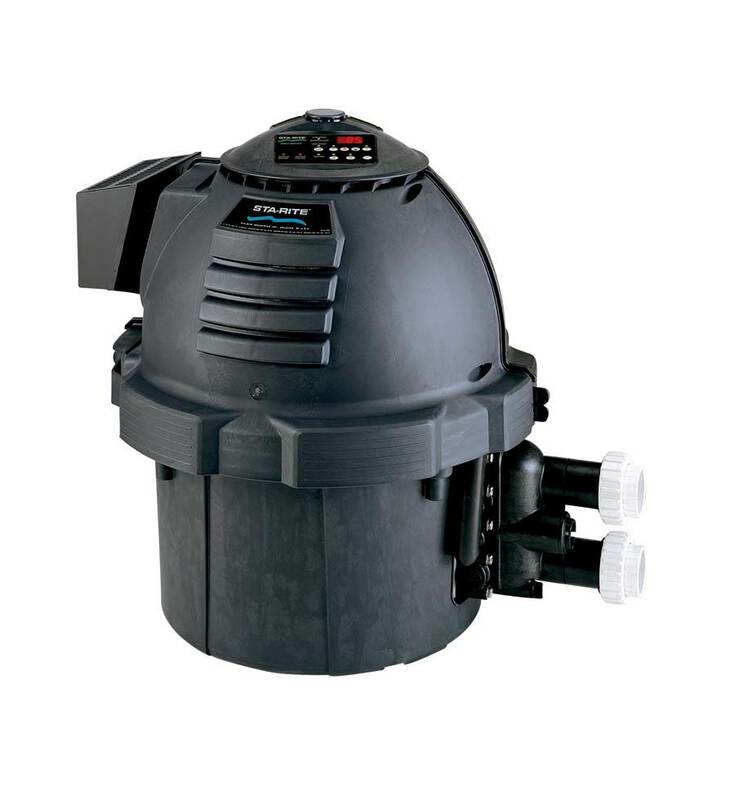 For indoor or outdoor installations on pools and spas. Features include an LED temperature readout with dual thermostat controls, temperature safety lockout, and 6-position control panel. PMG burner technology requires no outdoor draft hood. Proven Dura-Glas® rust-proof construction with plastic manifold and PVC union connections. An Eco Select™ Choice: Max-E-Therm® high performance heaters offer best-in-class energy efficiency. Plus, they are certified for low NOx emissions, making them eco-friendly favorites.